In 2009, Masanori Kondo, then representative for GDN-Japan and Director of the Japan-India Association, in an interview with BW Businessworld, had said, “Five years ago, many Japanese companies disapproved of Korean companies in India, who were losing money on their investment but are getting some legal support from the Indian government. We now know that Korean companies did what was needed to be done, and that we are far behind. So, the Japanese are gradually adjusting in India.” And adjust they have. Japanese brands invested $4.7 billion in 2016 in India. And Korean companies, for their part, will invest $2.5 billion-3 billion over next 3-5 years. In fact, between Japan and South Korea, there are 2,400-plus subsidiaries actively registered in India generating over $30 billion in annual revenue from the Indian markets. They are today an essential component in India’s GDP growth, contributing over 10 per cent to the Indian economy. A bid to join the party are the Chinese brands and companies. China already dominates as India’s trade partner in terms of share of imports and exports over Japan and Korea, and now Chinese brands, particularly in mobile handsets, have begun to give competition to both Japanese and Korean products. Sample this: in 2015, China was the 4th largest export destination at $9.5 billion. The same year, China was the largest import partner country at $61.5 billion. For India though, all these means more choices, more employment and a sustained growth in its manufacturing and export base. From cars to bikes; from flat-panel television sets to air conditioners (AC) and the components and spare parts business, the Japanese and Korean firms are dominating the Indian market with their precision products at competitive prices. And why not? Both Japan and Korea were among the first ones to foresee the potential in post-liberalised India way back in the 1990s. Their bet to set up manufacturing facilities in the Indian sub-continent is today paying dividends. Korean brand Samsung is a leading mobile handset brand in India. It also dominates the consumer durable and electronics market followed by rival LG Electronics, also a Korean entity. Hyundai Motors India is the second largest carmaker and the largest exporter of four-wheelers with nearly 17 per cent domestic market share next only to Maruti Suzuki’s over 47 per cent market share. Now, its subsidiary, Kia Motors has committed investments of over $1.6 billion in India towards building a manufacturing facility in Andhra Pradesh. Why? This is because India is touted to become the world’s third-largest passenger vehicles market by 2020. Japanese brands such as Canon and Nokia, which recently completed 20 and 10 years, respectively, in India, are the leaders in digital cameras followed closely by Sony, another Japanese brand. Durable companies such as Panasonic and Sony India are deeply entrenched in India with a long-term vision for growth despite jostling with their Korean counterparts such as Samsung and LG. “Between Japanese and Korean companies, an average of $3 billion-6 billion worth of investments are made annually for growing the Indian operations,” says a top executive of a leading Korean firm. According to Kenji Hiramatsu, the Japanese Ambassador to India, the feedback from the Japanese companies is that the investment and trade environment is better after Prime Minister Narendra Modi came to power. “There is a lot of enthusiasm on the part of Japanese companies, not only in India but also in Tokyo that India is a really, really important market for Japanese business,” Hiramatsu was quoted in a newspaper interview recently. If China is serious about a long term relationship in India, Chinese firms need to take leaf out of Korean and Japanese firms. And Samsung’s manufacturing journey in India could be the first lesson. Samsung began with the production of televisions at the company’s Noida factory in 1996. The plant subsequently began producing refrigerators in 2003 and mobile phones in 2007. 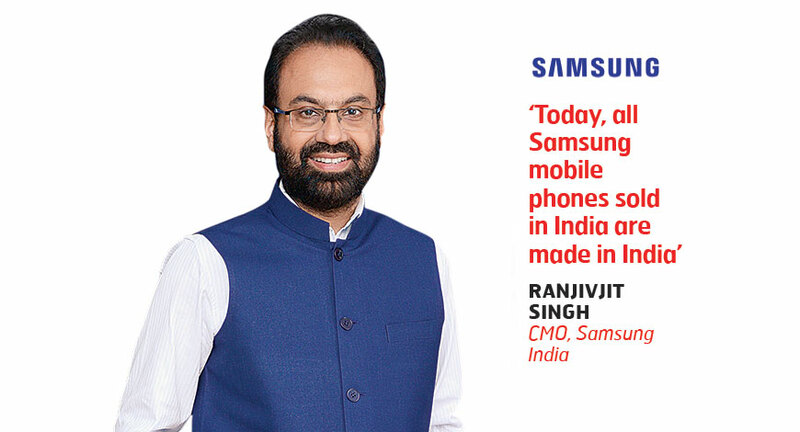 “Today, all Samsung mobile phones sold in India are made in India at the Noida factory,” says Ranjivjit Singh, CMO, Samsung India. Across its Noida factory, the Sriperumbudur unit, five R&D and one design centre, Samsung India employs 70,000 people. Rival LG Electronics started its India operations a year after Samsung in 1997. Why? 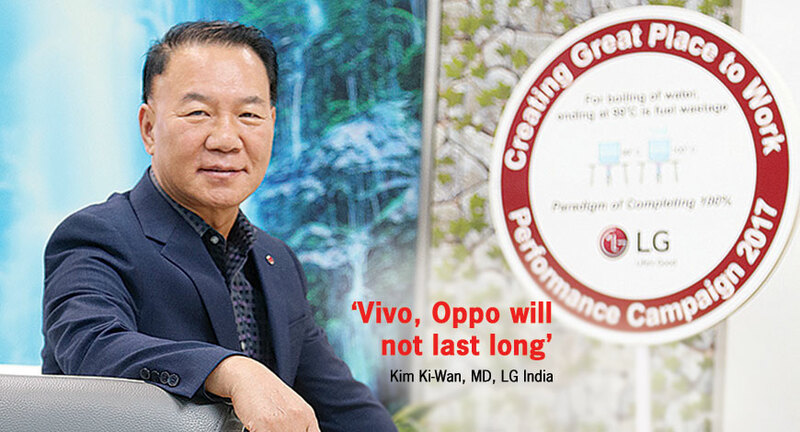 “Since India had just adopted the open market system, it was a great potential market for LG and we wanted to establish our base,” says Kim Ki Wan, MD, LG Electronics India. Hyundai Motor India (HMIL) CMD Y.K. Koo is more specific on why Hyundai entered India. “The penetration of personal vehicles was moderately low when we started in May 1996. We realised the huge potential India will offer considering its market size. We were not wrong. Today, we have grown to become the country’s second largest car manufacturer and largest exporter of passenger cars with a total investment of $3.2 billion,” says Koo. The bet placed on Indian growth by Japan and South Korea is paying rich dividends. Hiramatsu says there has been over 80 per cent jump in investments made from Japan to India in 2016 — Japanese companies invested $4.7 billion in India to set up or expand their manufacturing base. A year ago, this figure was $2.6 billion. Maruti Suzuki India (MSIL) is perhaps the biggest example and one of the most recognised Japanese brand in India that is 54.2 per cent-owned subsidiary of Japan’s Suzuki Motor Corporation. If we leave aside Maruti Suzuki, there are a number of Japanese firms including Honda Motors and Cars, Suzuki Motorcycles, Yamaha Motors, Panasonic India, Toshiba and Sony India who are growing their India businesses profitably. In 2016-17, these firms generated a revenue of over $10 billion. On 7 June, South Korea major Samsung Electronics India said it will invest Rs 4,915 crore and double its manufacturing capacity in India for smartphones and refrigerators at its Noida plant. This move will lead to the creation of over 15,000 jobs too. HC Hong, President and CEO of Samsung Southwest Asia, says, “A bigger manufacturing plant will help us cater to the growing demand for Samsung products across the country.” This is the biggest FDI in the electronics manufacturing space in India. “Samsung has pioneered the ‘Make for India’ initiative, which has resulted in meaningful India-centric innovations,” says Singh. For example, Samsung’s popular S Bike Mode in its phone encourages two-wheeler users to ride responsibly and the innovative Ultra Data Saving (UDS) Mode allows for a cost-effective 4G experience, thereby helping mobile users to save up to 50 per cent mobile data through a unique compression technology. Samsung has also built the world’s biggest 4G LTE Network for Reliance Jio. Hyundai’s Koo explains with numbers. He says between 1996 and 2016, India’s GDP has more than quadrupled to over $2 trillion. “In 1996, there were only five major auto manufacturers in India. By 2016, there were at least 17 carmakers and over 100 models and variants available in the market. But we are positioned very strongly,” adds Koo. Hyundai’s Chennai unit has a production capacity of 6.8 lakh, which can be ramped up to 7 lakh annually. “We also have a flexible engine plant to cater to the demands of the Indian car market. We currently have 479 dealers and 1,250 service points across India. Rural markets are a key part of Hyundai’s sales strategy. We will be ramping up our presence in these markets in the coming years,” says Koo. LG Electronics boss Kim says since India adopted the open market system, the potential to sell world-class products from LG’s portfolio just increased manyfolds. “LG invests $10 million annually to enhance the manufacturing and innovation capacities of the brand,” says Kim. “It has two manufacturing facilities in Greater Noida and in Ranjangaon near Pune. In the past 20 years, we have seen growth every year with the introduction of new technology and innovative product line-up,” says Kim. 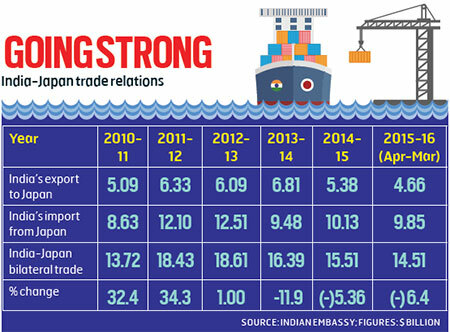 Even in terms of trade relations, there is a growth momentum between India and Republic of Korea (Korea). Today India is the 13th largest trade partner of Korea. The trade and economic relations between India and Korea have gathered momentum in recent years with bilateral trade reaching a substantial figure of $16.27 billion in 2015. “Bilateral Comprehensive Economic Cooperation Agreement has spurred the process. Korean majors such as Hyundai, Samsung, LG, etc., which have invested around $3.91 billion till December 2015 in India, have plans to expand further,” says a senior official in the Commerce Ministry. According to the Indian embassy in Seoul, Indian FDI led by Mahindra & Mahindra (Ssangyong Motor), Aditya Birla Group (Novelis) and Tata (Tata Daewoo commercial vehicles) is close to $ 3 billion. 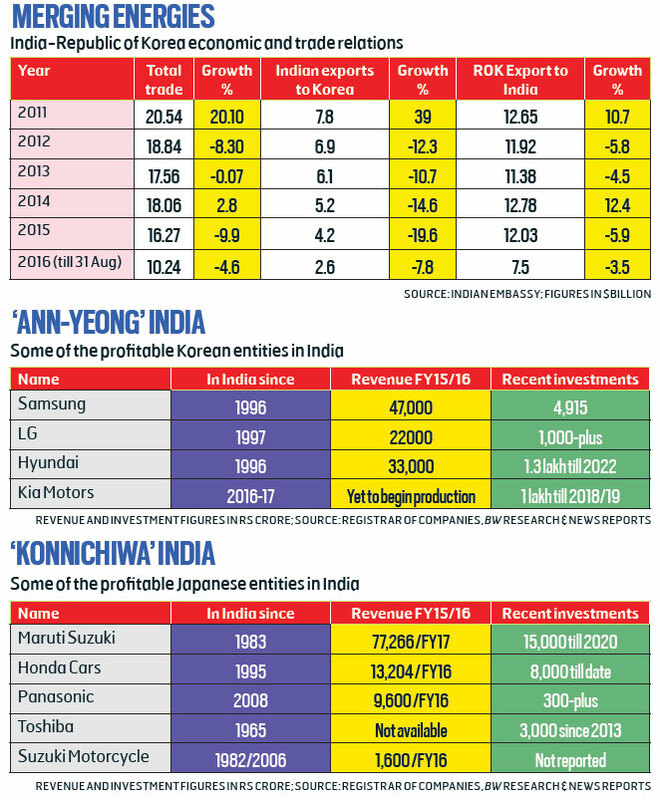 In terms of number of brands, Japanese are far well entrenched in India than their Korean counterparts. But on revenue and profit generation, the Korean companies have an edge. One such Japanese brand, Toshiba, decided way back in the late 1950s to enter India as part of the formal Indo-Japanese trade alliances. Tomohiko Okada, MD, Toshiba India, says brand Toshiba has been in India for over 50 years and will continue to do business in India for the foreseeable future. “The group’s association with India’s energy sector dates back to 1965 when Toshiba installed the 4x10.5 MW hydroelectric power plant in Meghalaya. Since then, Toshiba has delivered more than 20 turbines and over 30 generators for hydroelectric plants for over 50 years in India,” says Okada. Toshiba has also been supplying equipment for thermal power in India for over 20 years. The group has further cemented its India business through JV between Toshiba Corporation, Japan and JSW Group to manufacture and market super-critical steam turbines and generators for thermal power plants in India. Toshiba initially had expanded its B2C business like TV and PC in the late 2000s, but now it has shifted from B2C to B2B model, which is focussed on social infrastructure system like power generation, transmission and distribution (T&D), water treatment and building systems including elevator and AC. 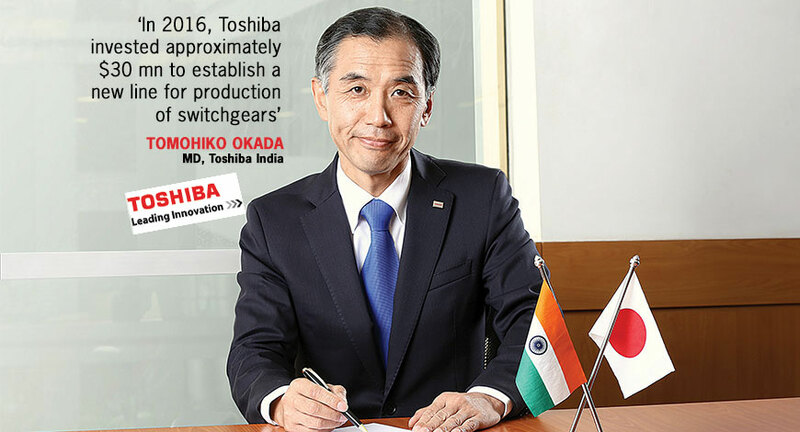 Okada recounts the large quantum of investments that Toshiba has made in India. For example, setting up of its power generation operations, it invested Rs 800 crore. “High quality power generation requires an efficient T&D network. So, we established TTDI in Hyderabad by acquiring Vijai Electricals for $200 million in 2013. In 2016, Toshiba invested around $30 million to establish a new line for production of switchgears. The manufacturing facility at Rudraram in Telangana has a workforce of around 6,000,” he says. Like Toshiba, Yamaha Motors, a globally recognised Japanese brand, also has an early mover advantage. Yamaha Motor made its initial foray into India in 1985 as a JV. In August 2001, it became a 100 per cent subsidiary of Yamaha Motor, Japan (YMC). In 2008, Mitsui entered into an agreement with YMC to become a joint-investor in India Yamaha Motor (IYM). IYM has made significant investments in India over the years. “Recently, we invested Rs 1,300 crore in Tamil Nadu and by 2018, the total investment would be Rs 1,500 crore,” says Hiroaki Fujita, Chairman, Yamaha Motor India Group Companies (YMI-G). IYM’s manufacturing facilities today comprise of three plants at Surajpur, Faridabad and Chennai. The infrastructure at these plants supports production of two-wheelers and parts for the domestic as well as overseas markets. Further, IYM has also established two R&D centres in India to develop products that fit the Indian customer requirements. 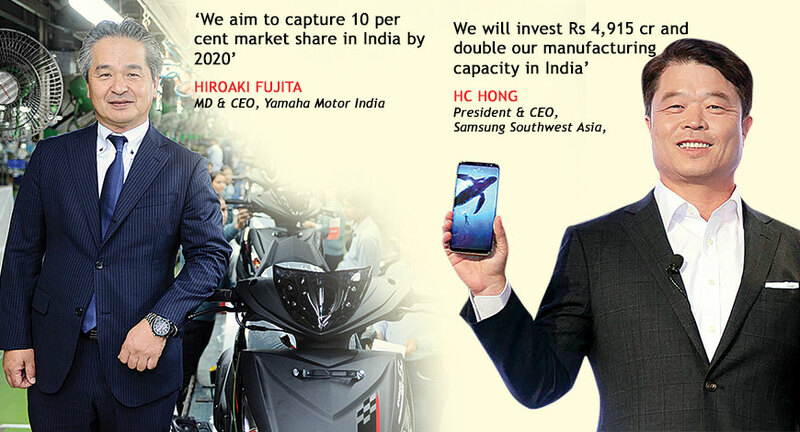 “We aim to capture 10 per cent market share in India by 2020,” says Fujita. Another example of strong India commitment from a Japanese brand is Panasonic, one of the leading Japanese consumer durable brand sold across the globe. Panasonic has had an interesting India foray. Panasonic re-entered India in 2008 having been here in the mid-1990s. “Within nine years of our operations in India, we have established 15 manufacturing units within the country,” says Manish Sharma, President and CEO, Panasonic India & South Asia, and Executive Officer, Panasonic Corporation. The largest unit in Jhajjar, Haryana has a capacity to manufacture 1 million sets of ACs, 4 lakh sets of washing machines, 25 thousand sets of welding and cutting machines, and 5 lakh sets of refrigerators (production begins in January 2018),” says Sharma. Since its India foray, the company has been on the investment mode. Panasonic India has also announced an investment of Rs 115 crore for setting up the new refrigerator factory at Jhajjar. “Anchor Electricals, one of our integral business division, also invested Rs 150 crore in the Haridwar manufacturing unit,” says Sharma. With 10,000 outlets and 180 brand shops and over 1,115 service centres and a market share of around 8 per cent, Panasonic has indeed come a long way in its India business which clocked a revenue of around Rs 9,600 crore. “We plan to double our achievements in next three years and grow at over 30 per cent,” says Sharma. India being the smartphone headquarters for Panasonic, the company plans to begin exports of its smartphones out of India soon. Sony India, another electronics major and a 100 per cent subsidiary of Sony Corp, set foot in India in 1994 and since then, has managed to spread its operations across the country. 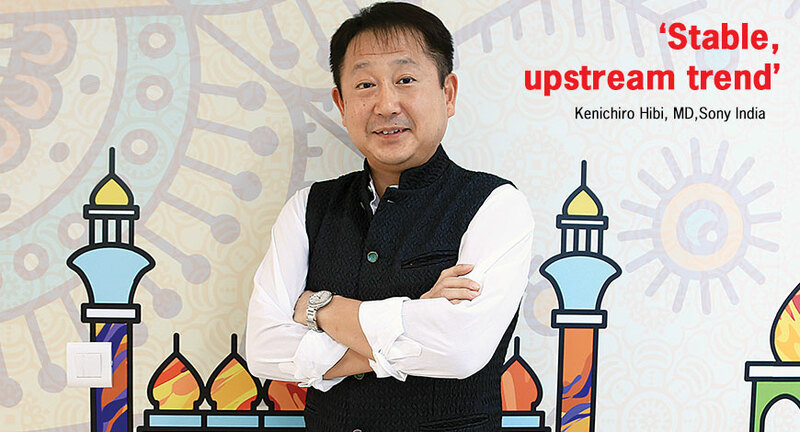 “In the past 23 years of operations in the country, we have spanned a distribution network of over 10,000 dealers, more than 250 exclusive outlets and 25 direct branch locations… we spend Rs 500 crore every year in above and below the line advertising and marketing activities,” says Kenichiro Hibi, MD, Sony India. Acknowledging stiff competition from Korean brands, Hibi gets philosophical. “We are our own competitors as no other brand can boast of the technology and innovation that we bring to our products,” he adds. Having lower marketshare or stiff competition from rivals does not deter the Japanese companies. Take for example Honda and Toyota. They are the fifth and sixth largest carmakers in India but are counted in the top category when it comes to quality. They are positive about the market and continue to make investments. 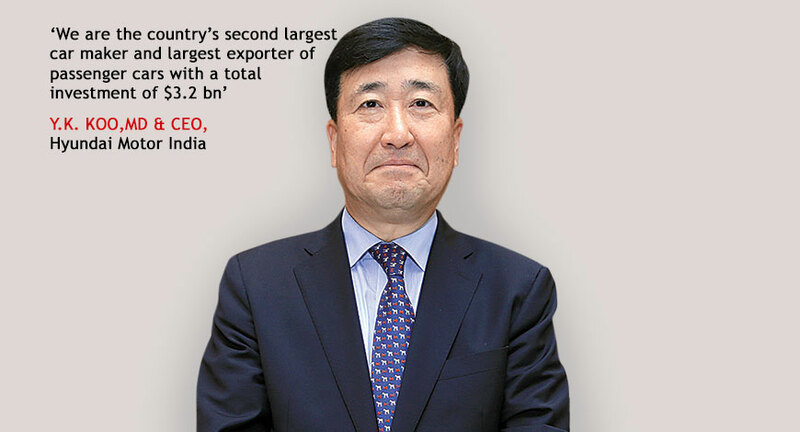 “We have invested over Rs 8,000 crore in India till date, of which, we made an investment Rs 3,000 crore in the last three years,” says Yoichiro Ueno, President and CEO of Honda Cars India. Honda’s two-wheeler wing, Honda Motorcycle & Scooter India (HMSI) is the second largest two-wheeler maker in the country and plans to sell 6 million bikes in FY2018. Close on the heels is another Japanese auto brand — Isuzu, which has pumped in over Rs 3,000 crore in setting up its manufacturing base in Sri City, Andhra Pradesh. The company wants to make India the manufacturing base for its future business objectives. Isuzu Motors started its Indian operations in 2013 with test marketing of vehicles imported as completely built units. “So far, we have established our dealership network, set up the supplier and distribution infrastructure and have also introduced the V-Cross Adventure Utility Vehicle along with the D-MAX pickups in the market,” says the company’s spokesperson. Economic giant and a regional superpower, China realises the significance of having India as a large marketplace. More than Japan ($ 14.51 billion) and Korea ($16.27 billion), the total India-China bilateral trade in 2016 amounted to $70.8 billion. China is India’s largest trading partner. Cotton, gems, precious metals, coins and copper are among the top export items to China while we largely import electronic equipment, machines, engines, pumps, organic chemicals and fertilisers. In recent years, several Chinese companies have made investments in India. Top of the list include, TBEA in power, T&D, Fosun in pharma and API, Wanfeng Auto Wheels, Kingfa and Lesso in auto components, Trina Solar, Jinko Solar, Golden Concord Holdings and Longi in solar, Modules Huawei and ZTE in telecom equipment, Gionee, Huawei and Xiaomi in consumer electronics, Alibaba in Paytm and Tencent in Flipkart. Chinese mobile handset brands such as Vivo and Oppo have plans to pump in over Rs 2,000 crore in marketing and overtake Samsung in India in the next one year in the Rs 6,000-20,000 smartphone segment that accounts for over 75 per cent of the handset market. Lenovo, Huawei, Oppo, Xiaomi, and Vivo are now making smartphones in India backed by large investments. Oppo is shelling out over Rs 1,000 crore for the Indian cricket team branding while Vivo is spending over Rs 2,000 crore to be part of IPL cricket bonanza. Officially, China does not play cricket nor is the sport as popular as soccer. On the appliance side, China-based Midea Group says it will invest Rs 800 crore to set up a manufacturing facility in Pune. The unit will have a production line for refrigerators, washing machines and water appliance products. The company is also setting up an R&D centre to develop India specific products. “India is a key market in our global growth strategy and will be an important manufacturing hub in future. Now is the time because the micro-economic situation is good, Modi-led government’s making it easy to do business, and now GST,” says Andy Gu, VP, Midea Group. The new facility will have capacity to manufacture 5 lakh refrigerators, 6 lakh washing machines and 10 lakh water appliances. Midea Group’s part and component divisions GMCC, which is one of the largest compressor manufacturers in the world, will invest into the facility. Founded in 1968 in Guangdong, China, Midea had sales revenue of nearly $24 billion in 2016. It is a leading global player in consumer appliances, HVAC systems and robotics and industrial automation systems. In 2012, Midea had formed a JV with US-based heating, ventilating and AC (HVAC) systems — Carrier Midea India — and has a pan-India distribution network for ACs. The current turnover in India is pegged at Rs 1,000 crore. Suffice to say that while Japanese and Korean companies’ focus on manufacturing and selling finished products in India has paid rich dividends, now Chinese companies too are playing the same game by creating a niche for themselves across electronic product categories. Indian consumers only stand to gain with globally competitive, affordable and updated products available for them, making India a sought after market for all those countries who wish to have a small share of the large Indian consumer pie. Q: What is Sony’s ‘unique’ strategy that you talk about? India is a unique market, one of the biggest countries in the world. We can implement 10-100 times of our strategy here. Everybody is currently lurking on the opportunity in India because the scale of the business is huge. Q: Your earlier stints in Europe and Russia, have emerged as potential contributors to the global Sony Corp. Where does India stand? India for Sony Corporation is the most strategic market unlike others. In India, Sony has been doing business for more than 20 years, we have managed to grow and sustain in a competitive market here with 20 per cent overall growth. The micro-economic situation projects stable and an upstream trend, thanks to efforts of the Modi government. Q: What is your take on GST? GST is quite a big challenge. In the long run, this should be good for the customers and brands because it encourages transparency. Some of the challenges relating to the accounting system will be revamped so that we are well prepared. Our partnership will be ready and even our customers are ready to understand the new system in few months. LG is the market leader in consumer durable industry. LG as a brand does extensive consumer research and spends a lot on innovating the product as per the needs of the consumer, unlike its competitors. Other brands’ tech products have not done as well in the past because their consumer research is not as widespread as ours. We have had first-mover advantage in the mobile market. We were the first ones to introduce phones with a safety dialing for women’s safety among many others but we saw competition from newer players in the market, however with shorter shelf life. Upcoming, smaller players will not last as our competition as they cannot compete in quality with us. We have a strategy in place to gain the share of the mobile market in the next few years. Q: Are you ready for GST? We operate in 122 countries, we worked with GST in many countries, we know the system and how it works, and we are ready with changes. We are even educating our dealers and traders involved about its benefits. Q: India still doesn’t contribute double digit revenue share to LG global. Why? 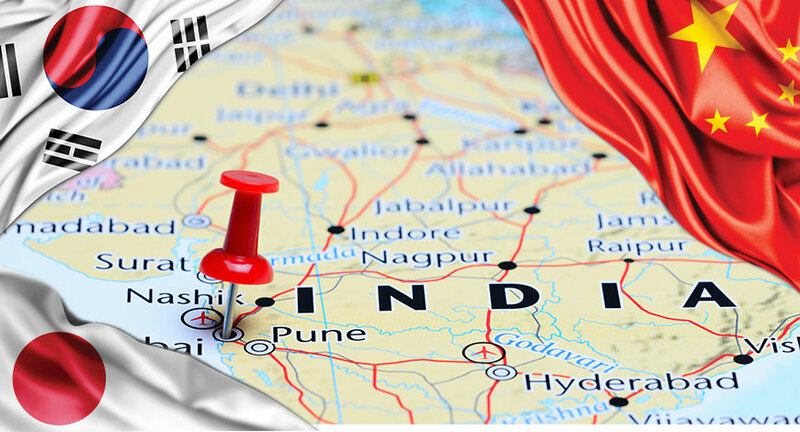 We operate in 122 countries, India is the only market where we are market leaders. LG India’s revenue is Rs 22,000 crore this fiscal, FY16-17 growing at 20 per cent, we have to constantly innovate and spend a significant amount in developing newer products by entering newer categories.